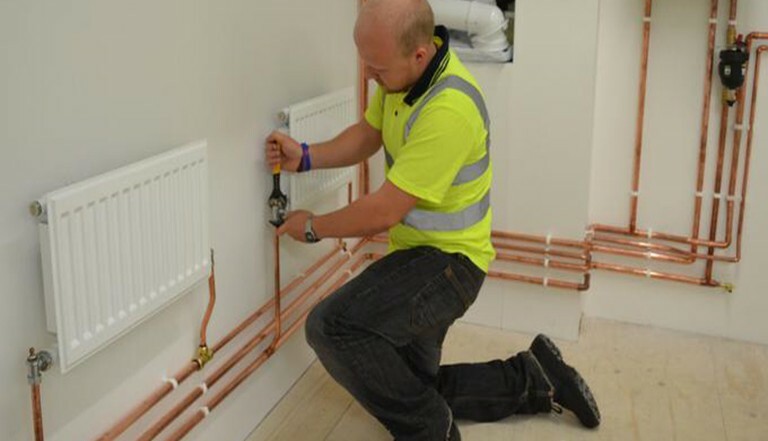 Seven top plumbing apprentices from across the UK began a closer relationship with Stelrad Radiators when they took part in the finals of this year’s National Apprentice Plumber of the Year competition, which took place over two days early in May at the Adey Professional Heating Solutions Training School in Cheltenham. The seven finalists who had all won regional competitions to get to the final, had to install two Stelrad radiators as part of the final competition test paper. Supporting the talent of the future. Stelrad forms relationships with top apprentices at national competition.